Equality of opportunity was, and remains, a founding principle of the Medical Women's Federation. As an organisation we are therefore committed to helping women doctors who are disadvantaged by circumstances beyond their control, who wish to return to clinical practice in the UK. What MWF can do for Refugee Doctors? MWF is familiar with the plight of women refugee doctors who want to return to clinical practice after an extended period out of practice because of full time domestic commitment. This was the situation of many women doctors born and trained in this country 20-30 years ago, who stopped work for 5 or more years to bring up their children and then found great difficulty in returning to clinical work in the NHS and re-enter training. A major achievement of MWF has been to support women doctors in this situation and campaign for services to enable them to return to work and facilitate their career progression. The current situation for women refugee doctors wanting to return to clinical practice is similar but far more daunting. For many, being based at home in the domestic environment has limited the opportunity for them to acquire familiarity and fluency in spoken English and little time for reading. Before being allowed to take the GMC PLAB examination [Professional & Linguistics Assessments Board] to quality for registration, non-EU overseas qualified doctors have to achieve a high score in Academic IELTS [the International English Language Testing System]. This is a major barrier, especially with only a limited number of IELTS courses available at higher professional level. How can the MWF help? MWF welcomes women refugee doctors to become members of the organisation. When unemployed the cost of membership is substantially reduced, and there may be financial support towards travel expenses for attending local MWF meetings. 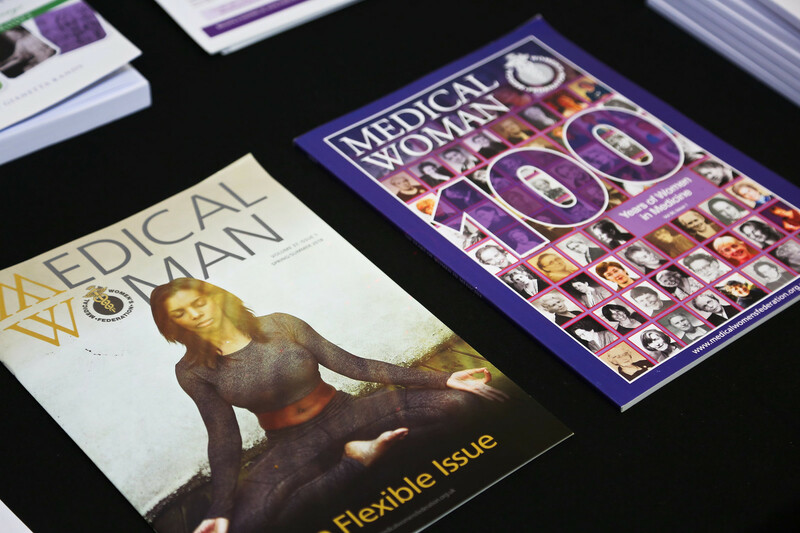 Members receive email circulation of the MWF monthly Newsletter giving information of recent and future MWF activities, also a variety of medically-related events. Participation in MWF activities enables refugee doctors to be drawn into local clinical and social networks. This applies throughout the UK because of the national grouping of the MWF members into local associations. Meeting established women doctors provides an opportunity for providing personal support to individuals seeking guidance in returning to medical practice. MWF is represented on the BMA Refugee Doctor Liaison Group, which focuses on refugee healthcare and professional needs (www.bma.org.uk/international). This enables the specific problems and requirements of women refugee doctors to be brought to the attention of policy makers. • Collaboration with the London Refugee Women's Association [RWA]. The RWA provides basic English language courses. The MWF is helping with this by a member leading a small monthly reading group, to improve reading and writing English language skills. Royal College of Ophthalmologists has a wonderful page for refugee doctors who are qualified ophthalmologists in their country of origin on its website.